The team at Bridging Hope Charity Foundation is dedicated to improving wellbeing for all, through their passionate work in the two pillars of the arts and mental health. Tina Tian is an Australian resident who has lived in Australia for over fifteen years. Tina was born in China and received her high school and university education in Australia. 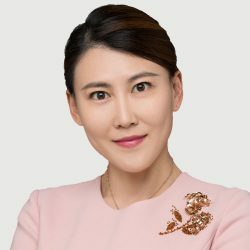 Having run a global property and investment business with headquarters in Beijing and Sydney, Tina has dedicated the past several years to setting up the Bridging Hope Charity Foundation, which she established in 2015. Her passion and commitment to the Foundation has taken centre stage in her life and her focus is on ensuring that Bridging Hope Charity Foundation has a significant and enduring impact in the fields of mental health and the arts. Tina is the recipient of the prestigious ‘2017 China Philanthropic Person of the Year’ award. 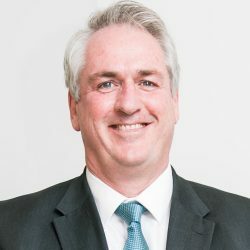 Over the past 20 years Stephen has been involved in all aspects of the lifecycle of property development and investment. Stephen took on the role of Director of BCHF in 2016 and along with the Founder Tina Tian has built a committed and passionate team around them. Under his guidance the foundation has taken on several key partnerships, notably a 3-year program with Lifeline to develop a culturally responsive mandarin speaking service for crisis support, significant contribution to the 2018 Biennale of Sydney, support for the UNSW A&D Annual, The Big Anxiety Festival, as well as Foundation programs that support emerging artists and sponsored mental health seminars delivered by industry leaders to corporate and community partners. Widely acknowledged as an enthusiastic contributor to inclusive practice in the creative industries, Anke holds a Master’s degree in Arts Management from University of Technology, Sydney. 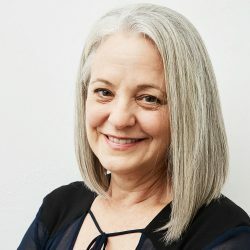 Her career spans more than 25 years across projects in Australia & Europe in a variety of sectors including not-for-profit, the Arts and philanthropy. Anke describes herself as a curious learner, with expertise in strategic development and a strong interest in collaborative impact. As a Board Director of Pacific Opera and Public Speaker for the National Breast Cancer Foundation’s Speakers’ Bureau, she is passionate about social innovation, life-long education and women’s issues. 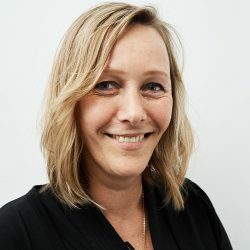 Anke’s ability to connect deeply on a human level, to energise environments and to build high performing teams with a real attention to values and individual needs, give her the skills needed to breathe life into Bridging Hope’s vision with strength and compassion. Newly migrated from China, Ariel holds a Master’s Degree in Arts Management from Central Academy of Fine Arts in Beijing. Since arriving in Australia, Ariel has been passionate about driving cultural exchange between China and Australia. She facilitated Australian artists into renowned Chinese art museums for residency. She has extensive experience in international event marketing, art gallery operation and visual arts curation and she loves what she does. She hosted the China Contemporary Art Month Forum at the China Cultural Centre in Sydney and curated numerous exhibitions at Art Atrium Gallery. She was also researcher for a particular Chinese psychotherapy approach using art called Xie Yi. She speaks fluent Mandarin, Cantonese and English, and is instrumental in improving arts and mental health initiatives with a particular emphasis on Chinese communities both here and abroad. “In arts we believe”. Natalia’s mix of curatorial expertise combined with an ability to enable exceptional strategic partnerships and garner audiences has helped Bridging Hope become integral to the support and sustainability of the visual arts. Having chaired a major arts festival, on the boards of several leading arts and cultural bodies, Curatorial Manager of Australia’s first ever group exhibition in Latin America, maintaining private and corporate client relationships over many years. Natalia brings her decades-long professionalism and impeccable contacts to further strengthen meaningful visual arts philanthropy. Natalia is a Trustee of the Australian Museum Foundation; Member of UNSW Art & Design Advisory Council; named as one of ‘The Most Powerful People in the Australian Art World’ in 2016; Immediate past Chair and Director of the Australian Art Events Foundation (Art Month); Australia Council Peer sitting on the first Advisory Board member of the Woollahra Small Sculpture Prize for several years; and Member AGNSW CCB Committee for more than a decade. Before moving to Australia, Melody had been working at Beijing New Century International Children’s Hospital. 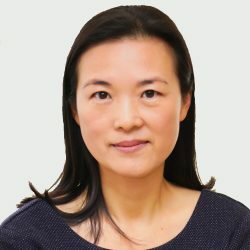 In China she is well known for her work in pediatric psychology and is a published author of four books. Melody also made guest media appearances across TV, Radio and other various platforms. 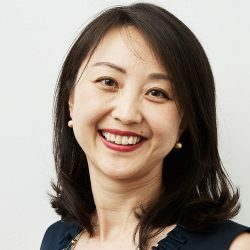 Melody Yun Qu finished university in 1991 and completed her Masters in Developmental Psychology at the Institute of Psychology, China Academy of Sciences. She is a German certified Positive Psychotherapist and Level Two Counsellor in China. In Australia she is a registered ACA member Level 4, the highest level achievable. She is currently a doctorate candidate at the Department of Psychology, Macquarie University, and is currently researching family factors influencing children and adolescents’ emotional health. Melody is an Advisor to Bridging Hope Charity Foundation in both Sydney and Beijing.